JERUSALEM: Palestinian militants in the Gaza Strip fired a rocket at Israel late Saturday, Israel’s army said, prompting retaliatory strikes on the territory’s Islamist rulers Hamas as tensions rose after another day of violent border clashes. “Earlier tonight, a rocket was launched from Gaza towards Israeli territory. In response, IDF fighter jets targeted two of Hamas’ underground structures in the Gaza Strip,” Israel Defense Forces tweeted. “We will continue operating to defend Israeli civilians,” it added. Another 25 Palestinians were wounded along the Israeli border in Friday’s violence. 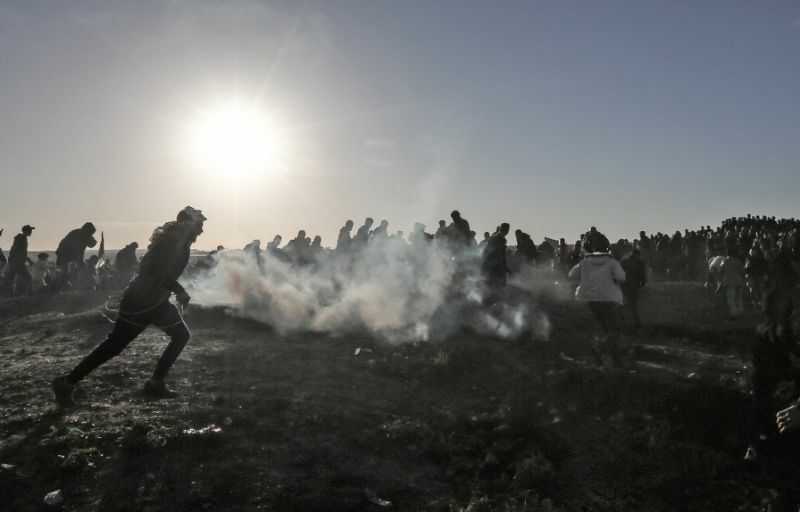 “The rioters have burned tyres and hurled blocks, explosive devices and grenades towards (Israeli) troops and at the Gaza Strip security fence,” an army statement read. The army also struck two positions belonging to Gaza’s Islamist rulers Hamas on Friday, it said.